•【VG-10 DAMASCUS STEEL STRAIGHT RAZOR】 Manufactured with ultra-sharp damascus steel cutting core at HRC58-60 hardness, this Magnus straight razor comes with unrivaled performance and incredible edge retention; Damascus steel outperforms high carbon steel in durability and is easier to sharpen as mix of high chromium steel enhance the other alloying elements..
【ERGONOMIC & WELL-BALANCED】 6'' and full hollow blade is light weight and compliments the wood handle in maintaining balance and help to alleviate fatigue and pain in your fingers after shaving with comfort while providing you with the perfect blend of performance and comfort. 【SUPERIOR SHARPNESS】 Once Sharpened it takes a Ruthlessly sharp edge and is ready to shave with. 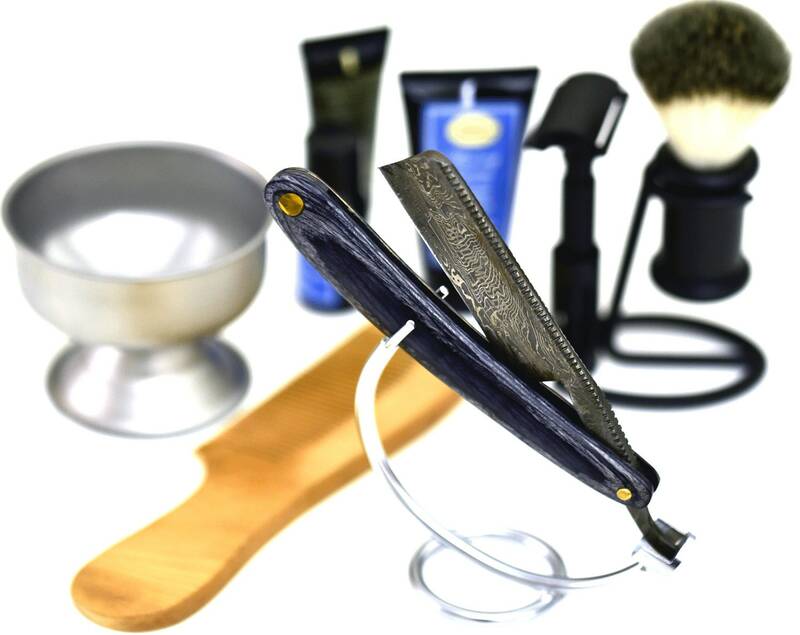 【LIFETIME WARRANTY】 No premium straight razor is complete without a lifetime warranty; our masterpiece razor is fully covered for life, free exchange or return for life if the item is defective. *Complimentary leather hand stitched sheath. ✓ ultra-sharp not shave ready at a staggering 5-8°degree angle per side, glides on the skin. ✓VG-10 Damascus steel. The ultimate steel for the ultimate performance. ✓Elegant hard wood handle provides a perfect balance and gently encourages a natural and comfortable pinch grip. ✓Featuring RAZOR MEISTER - MAGNUS Series 7/8” wide blade pattern with beautiful hand filed design on the spine, for striking, stand out beauty. If you are looking to go "cut-throat" with your shave, check out Magnus by Razor Meister straight razors. For years, we've been committed to sourcing and producing exceptional men's grooming items, and now we're excited to bring you these straight razors. For over a year, we've been coordinating with the best steel manufacturers to bring you an exceptional product. 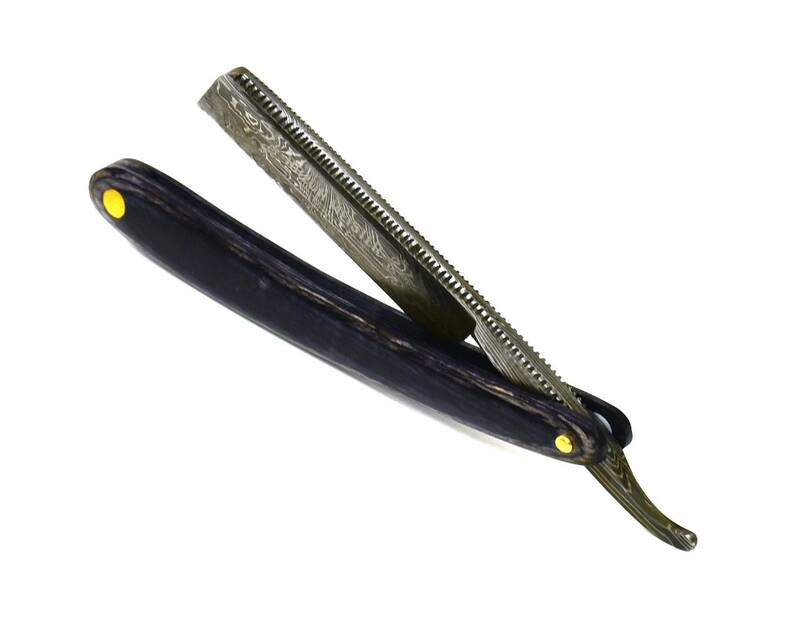 Check out our Hardwood Damascus Straight Razor, 7/8 VG-10 Damascus Steel. 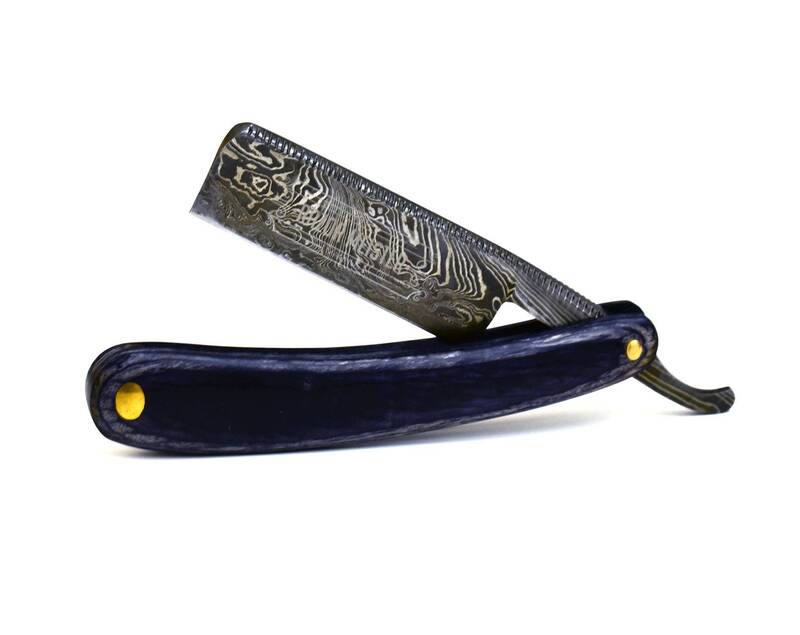 This elegant razor is perfect for the novice just getting his feet wet as well as the expert looking for a great addition to his den. The blade is 7/8" which is great for general beard growth removal. The full hollow grind and Damascus steel is often preferred for its audible feedback. You can hear the blade "sing" as you are getting a BBS shave. As long as you are embracing the straight blade, you might as well grab a good strop and learn the art of sharpening your newly acquired steel! 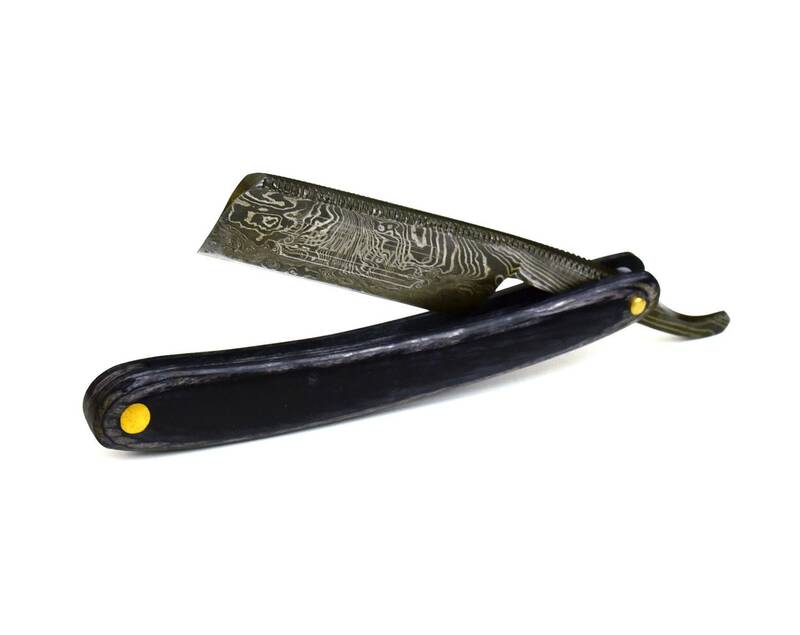 The Razor Meister logo is etched on one side of the blade so you know you are getting a quality product. The scales are a polished hardwood for a classic presentation. 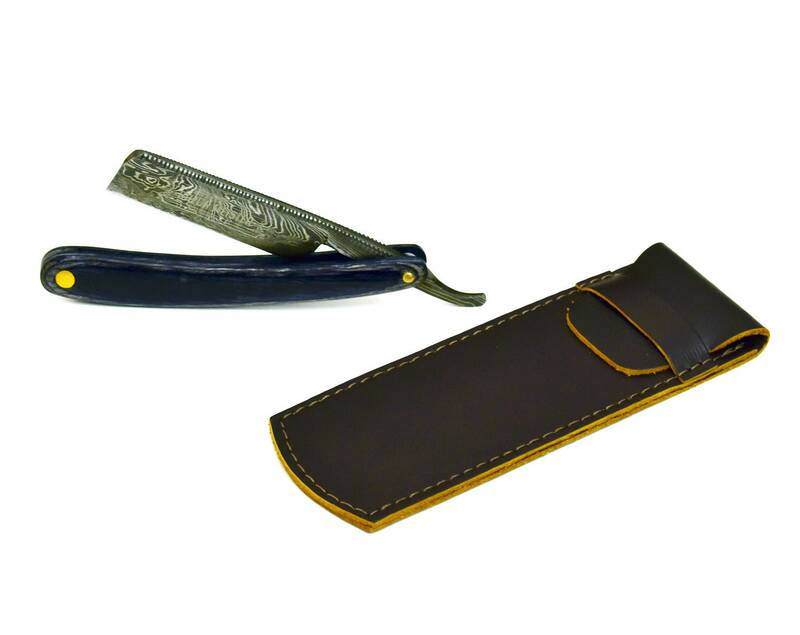 Each blade comes "shave ready" in a beautiful brown Hand stitched leather sheath to protect your investment. Prices already discounted up to 30% off .